THE SEARCH IS on to find Ireland’s next MasterChef. The popular programme will be back on our TV screens soon, and budding chefs are being encouraged to enter for their chance to take part and battle it out. The producers are looking for people who are passionate about food and love to cook; people who constantly impress friends and family with their culinary skills; and amateur cooks with amazing talent. 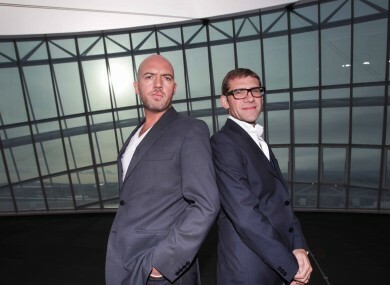 If you’re any of the above, you might have what it takes to impress the judges, Nick Munier of Pichet restaurant and Dylan McGrath of Rustic Stone, and become Ireland’s MasterChef Champion. McGrath has a bit of a reputation for having a hot temper, while Munier certainly won’t let people who aren’t up-to-scratch get a lick at the prize. If you know your dauphinoise from your diced carrot (OK, if you don’t know that, we’d advise staying well away from this programme!) and your sautéing from flambéing, then this could be the show for you. Plus, there is €25,000 up for grabs. More details can be found on the RTE website and the application deadline is 28 May 2012. Email “Could you be Ireland's next MasterChef?”. Feedback on “Could you be Ireland's next MasterChef?”.